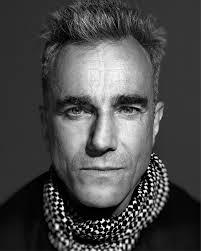 Daniel Day-Lewis was born on April 29, 1957, into a well-to-do and creative family in London, England. His father, Cecil Day-Lewis, was a writer, and enjoyed the honor of being England’s poet laureate for the last four years of his life. His mother, Jill Balcon, was an actress. Day-Lewis was such a poorly behaved student as his South London public school that his parents sent him to a private school in Kent, called Sevenoaks, but Day-Lewis did not fare much better there. Despite his lack of success in school, Day-Lewis had plenty of other talents. He shared the Balcon family inclination to act, but he was initially more drawn to working-class pursuits than to the stage. Enamored with woodworking and craftsmanship as a teenager, he focused for a time on these pursuits rather than on acting. Eventually, the future Oscar winner allowed chance to play a role in his future, and he applied to only one theater program. When he was accepted to the Bristol Old Vic Theatre School, Day-Lewis threw himself fully into the craft of drama. Daniel Day-Lewis shifted between theater and film for most of the early 1980s, joining the Royal Shakespeare Company and appearing alongside stars Anthony Hopkins and Sir Laurence Olivier in the 1984 film “The Bounty.” In 1986, Day-Lewis’s career started to gather steam with his acclaimed role in “A Room with a View” (1986). His first leading role came shortly after, in 1987, when he starred opposite Juliette Binoche in “The Unbearable Lightness of Being.” To prepare for the role, Day-Lewis learned Czech, and he subsequently stayed in character for the entire eight-month shoot. For an even more extreme foray into a character’s soul, Day-Lewis took on the role of Christy Brown in “My Left Foot” (1989). The actor learned about his paralyzed character by taking up residence in a wheelchair, even off-camera, requiring the crew to move him around. Day-Lewis took his role so seriously that he actually injured two ribs due to hunching over in the wheelchair. His hard work paid off when he took home an Oscar and a British Academy of Film and Television Arts (BAFTA) Best Actor Award, among a slew of other accolades. In 1992 he returned to the silver screen with a starring role in “Last of the Mohicans.” His second Academy Award nomination was for his performance in the popular “In the Name of the Father” (1993). Day-Lewis’s next two movies were commercially successful period pieces, “The Age of Innocence” (1993) and “The Crucible” (1996). It was on the set of “The Crucible” that Day-Lewis met Rebecca Miller, the daughter of writer Arthur Miller. The two began a romance that would result in their marriage on November 13, 1996. The couple has two children, Ronan Cal Day-Lewis and Cashel Blake Day-Lewis. The actor has one older son, Gabriel Cane Adjani, from a previous relationship with Isabelle Adjani. After shooting the film “The Boxer” in 1997, Day-Lewis unexpectedly moved to Italy to become an apprentice to a shoemaker, effectively cutting himself off from the rest of the world. Day-Lewis has been reluctant to talk about his time out of the public eye, saying, “it was a period of my life that I had a right to without any intervention of that kind.” In 2002, though, he was back in front of the camera for a much-lauded performance as Bill the Butcher in Martin Scorsese’s “Gangs of New York.” Day-Lewis rounded up another batch of awards nominations for his role as the knife-wielding gangster and won another BAFTA for best actor. Day-Lewis landed a starring role in the 2009 film “Nine,” by director Guido Contini. Once again, Day-Lewis’s performance was met with critical acclaim and award nominations. The actor is known for taking long hiatuses between films, breaking the mold of a leading man who churns out a hit every year. Critics and fans alike may want to see more of Day-Lewis, but the BAFTA darling clearly knows how to cultivate his genius and deliver epic performances. Researching his roles, taking time for his family, and striking out for new adventures seems to be part and parcel of the actor’s recipe for success. In 2012, Day-Lewis took on another challenging part, playing Abraham Lincoln, one of America’s most beloved presidents. He starred in the Steven Spielberg-directed biopic “Lincoln,” which was based on the book by Doris Kearns Goodwin. The cast also included Sally Field as his wife, Mary Todd Lincoln, and Joseph Gordon-Levitt as his son Robert. His convincing portayal of Lincoln earned him an Academy Award for best actor in February 2013. Do you want to hire Daniel Day-Lewis? Directly request a quote. In 48 hours we can send you the availability of Daniel Day-Lewis If you would like to book Daniel Day-Lewis, Entertainment Booking Agency is the right place. We will offer you the best price and contact the management or we directly contact Daniel Day-Lewis. For corporate appearances or speaking engagements you can contact our agents and the will help you true the process. Tags: hire Daniel Day-Lewis, Daniel Day-Lewis booking, book Daniel Day-Lewis, Daniel Day-Lewis appearances, find more information on booking Daniel Day-Lewis for appearances, Daniel Day-Lewis speaking engagements, Daniel Day-Lewis endorsements/spokesperson, Daniel Day-Lewis appearance fees, Daniel Day-Lewis booking agency contact info, biography of Daniel Day-Lewis, Contact an artist booking talent agent find a speakers bureau that can book Daniel Day-Lewis, speaker booking agency for Daniel Day-Lewis, Daniel Day-Lewis booking agency, Daniel Day-Lewis booking for corporate event. EBA is one of the biggest entertainment booking agencies in the World. We book hundreds of celebrities, artist, athletes and speakers in a year. Important to know is that we are not claiming to be the management of Daniel Day-Lewis. We are not the official agent for Daniel Day-Lewis. Companies from around the globe book these artists and speakers true our company be course we have one of the biggest networks and we always have direct contact with the artist or the management. We help you to find the right celebrities for your corporate of private events. Please contact one of our agents to get free advice and we will help to get the world-famous artist on your party.